Collective violence (including terrorism, gang violence, civil war, separatist ethnic and religious conflicts, and government sponsored wars) is a central concern of the 21st century. This analysis suggests a scientific strategy for reducing such violence by constructing functionally equivalent and highly effective nonviolent collective alternatives. This general approach is the heart of most effective programs of behavior change, but has not yet been used to address terrorism and other forms of collective violence. The paper briefly traces the history of effective nonviolent action, including both strategies to confront and reduce oppression as well as strategies for defending persons, peoples, and social institutions against attack. 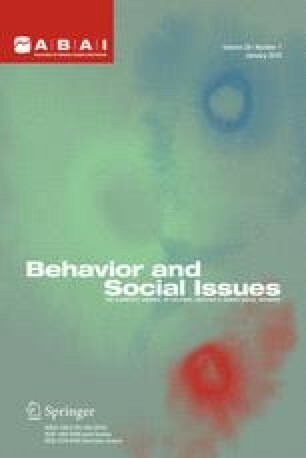 It then turns to a examination of cultural practices on which successful nonviolent actions have relied, emphasizing a scientific analysis of the behavioral dynamics involved. Both practices directed toward opposition groups and practices that maintain the commitment and action of group members are investigated. The paper concludes with an outline of a program of research for taking these analyses to deeper and more comprehensive levels. Database of successful strategies and tactics (2003). Retrieved November 28, 2003, from https://doi.org/www.dbsst.org/.